Feeling in a party mood? Celebrate! Celebrate! Celebrate! 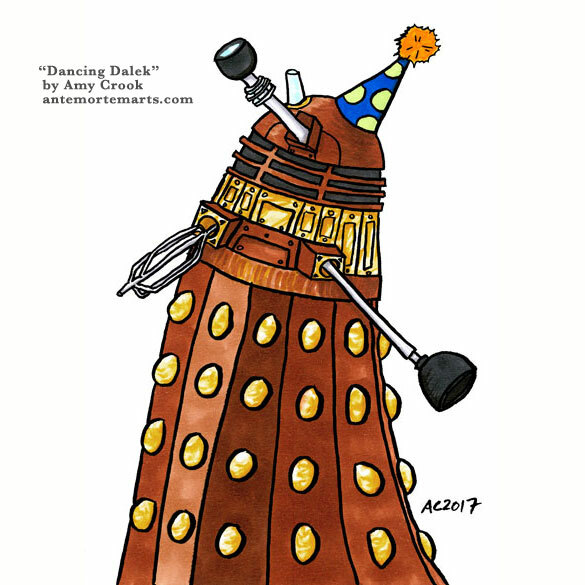 This dancing Dalek is perhaps also a bit drunk, as he meanders through the world ordering others to join in his celebration. Perfect for birthday festivities, or any other excuse you might have to, well, you know. 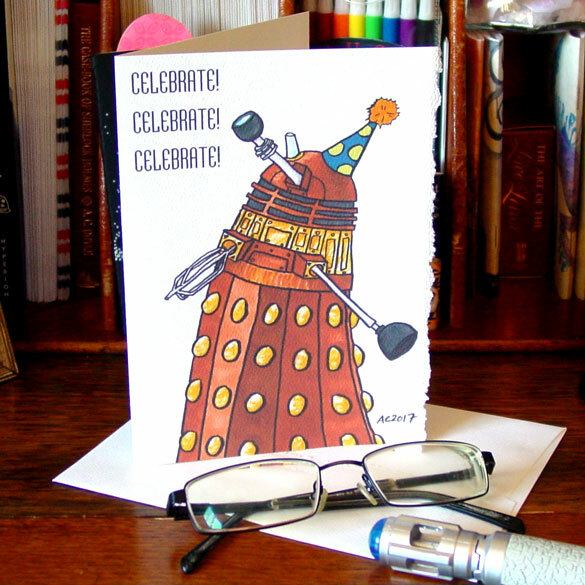 I have, of course, made it into a card! It’s blank inside, but I admit I was thinking of birthdays when I drew it.